We want to paint a better future for sharks! Sharks play a very important role in balancing the marine environment and provide stability to many other marine ecosystems. Shark conservation has become an increasingly important practice due to the negative effects of human activity on these amazing creatures. One third of all shark species are considered either Vulnerable, Endangered or Critically Endangered as listed by the IUCN (International Union for the Conservation of Nature). Some shark populations have decreased by more than 90% in certain areas and one third of all sharks are threatened with extinction. What are the main threats to sharks? The shark fishing industry is fueled by the demand for shark fin soup. Sharks are often caught as Bycatch or traped in Ghost nets drifting through the ocean. 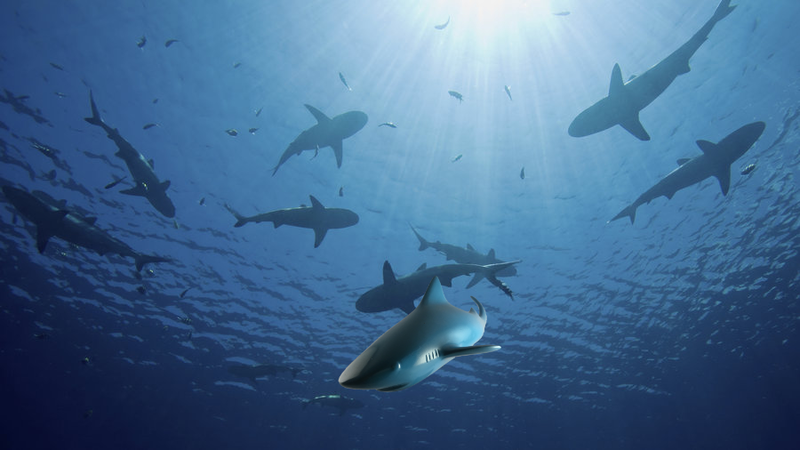 Marine debris, especially plastic, are dangerous for Sharks and other marine species. Do you want to help to stop the extinction of sharks? The Fin Arts is a social enterprise combining art and marine conservation. 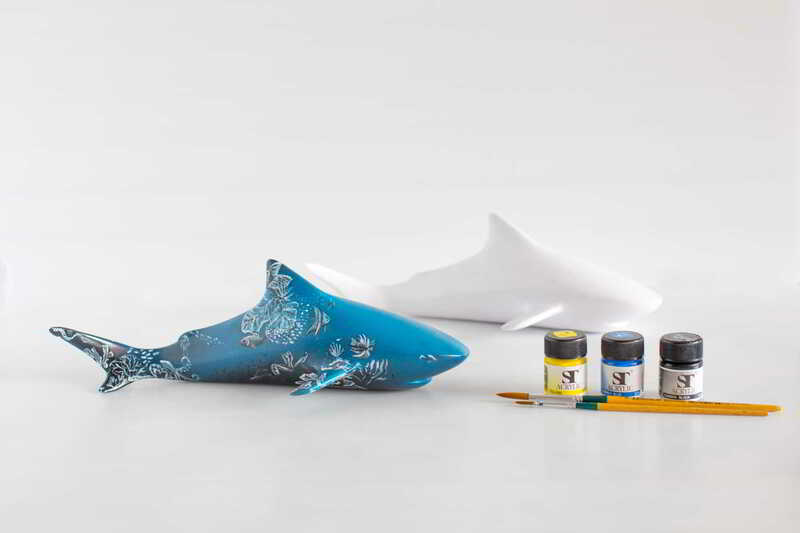 We work together with international artists, who are painting their unique art onto our shark sculptures to raise awareness for the art of nature, which the shark really is and the necessity to protect this amazing and important creature. 20 % of every shark sold is donated to shark and marine conservation projects such as Shark Guardian. Together we are aiming to create awareness and educate for the cause of the sharks and our oceans, to preserve them for the future. Help us painting a future for sharks!